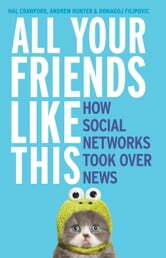 ALL YOUR FRIENDS LIKE THIS is a topical, punchy and provocative look at how social networks are taking over the news. How do you get your news? Chances are not from a newspaper or the TV - that's so old-school. If you're anything like the rest of us, you get it from Facebook or Twitter. The great power shift from traditional media to social networks is happening right now. This boom means that, for millions of us, our first exposure to information about the world comes from our friends, not news media. But social networks don't do news the old-fashioned way. Because we share stories that make us look good, inspire us and fire us up, the tone and flavour of the news-making process is irrevocably altered. What does this mean for media? For journalists? The audience? Are we better off or worse off because of it? 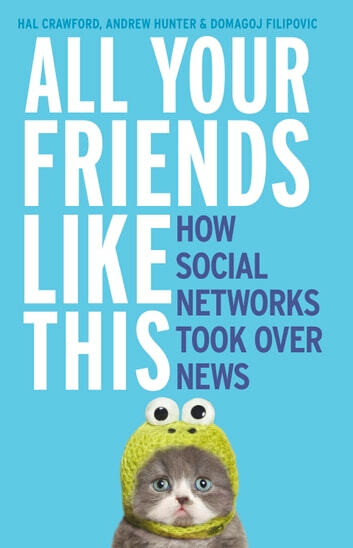 Highly topical, provocative and totally absorbing, ALL YOUR FRIENDS LIKE THIS does for the media what Freakonomics did for economics. If you're interested in the news, in what we read and why we read it then this game-changing book is essential.